Home Tags Posts tagged with "oakland fire"
The deadly fire at Oakland’s Ghost Ship warehouse party may have been caused by a fridge or other electrical appliance, investigators say. Investigators say they are looking at “anything electrical” on the first floor of the venue, where the blaze started on December 2. According to California officials, 36 people are now confirmed dead, and 35 have been already identified. They earlier warned that murder charges were also possible. Alameda County District Attorney Nancy O’Malley said on December 5 that her office had yet to determine whether a crime had occurred. Charges could range from murder to involuntary manslaughter, Nancy O’Malley added. On December 6, special agent Jill Snyder, the head of San Francisco’s office of the Bureau of Alcohol, Tobacco, Firearms and Explosives, said a fridge was a potential source of the blaze. However, she stressed that the investigators were yet to make their final conclusions. Jill Snyder added that “we have no indication” that the fire had been set intentionally. 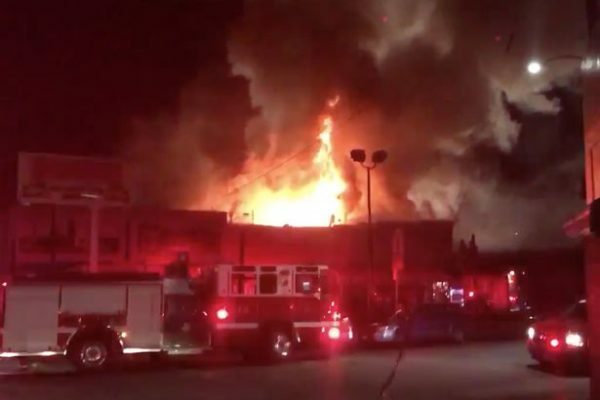 It is thought 50-100 people were inside the venue when the fire broke out. 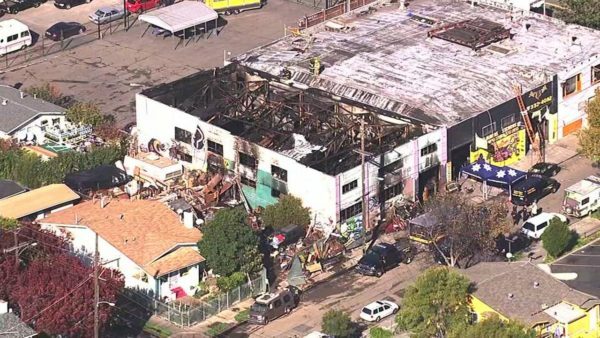 The building was used to house artists in improvised studios but several reports say people were illegally living there too. Oakland media named Derick Ion Almena as the co-operator of the collective with his partner, Micah Allison.